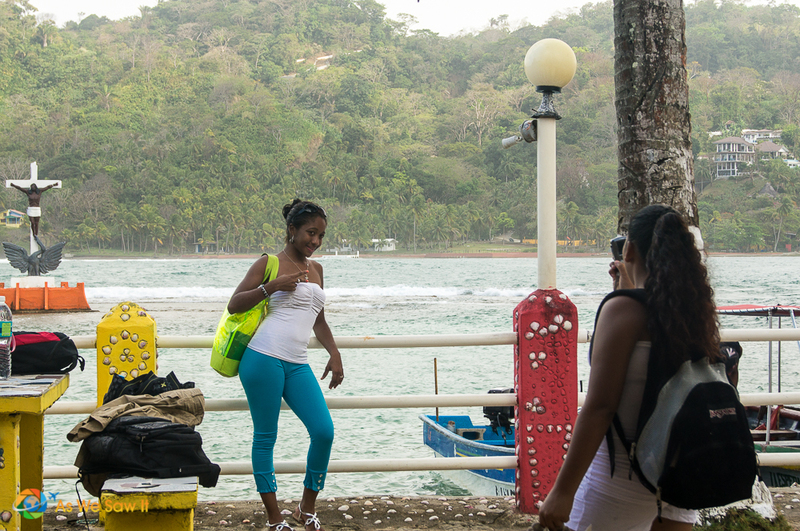 With your uncle Andrew visiting us here in Panama City, we decided to take a day trip to Isla Grande. 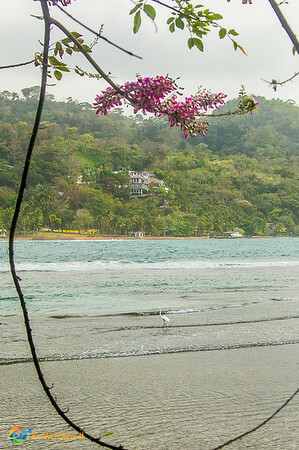 Isla Grande is a Caribbean island about an hour's drive away. 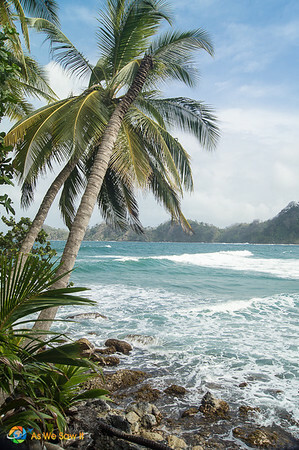 Waves crash on the east end of Isla Grande, sending spray into the wind. After heading east away from the canal and crossing the continental divide, we found the shuttle boats for the short 10-minute ride to the island. 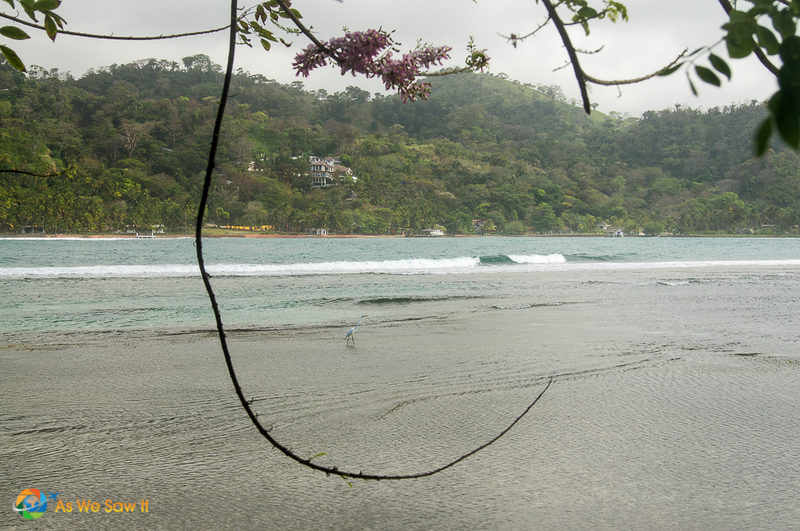 Isla Grande is rather small and because it is close to the mainland it creates a large surf that draws the surfing crowd. It drew us because of the picturesque surroundings. 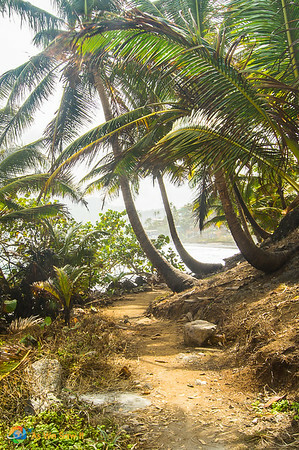 We love tropical islands. 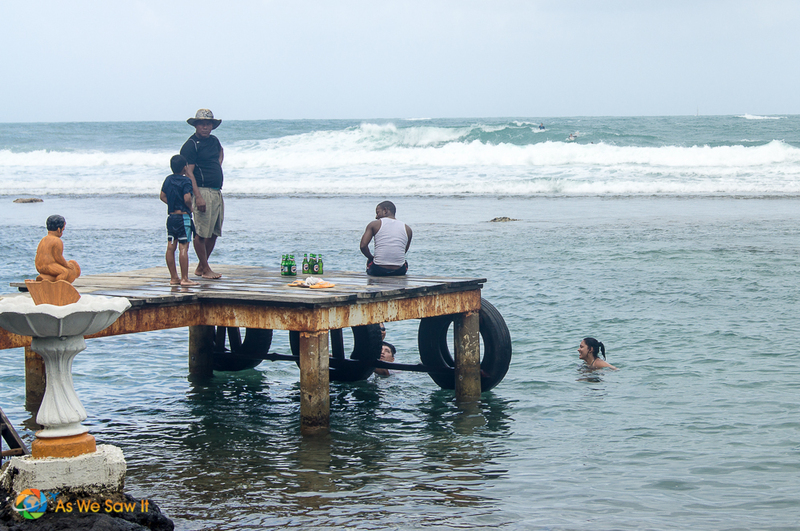 The east side of the island had rocky cliffs whereas the west side had calm surf and a nice beach. Boathouse on the bay side. 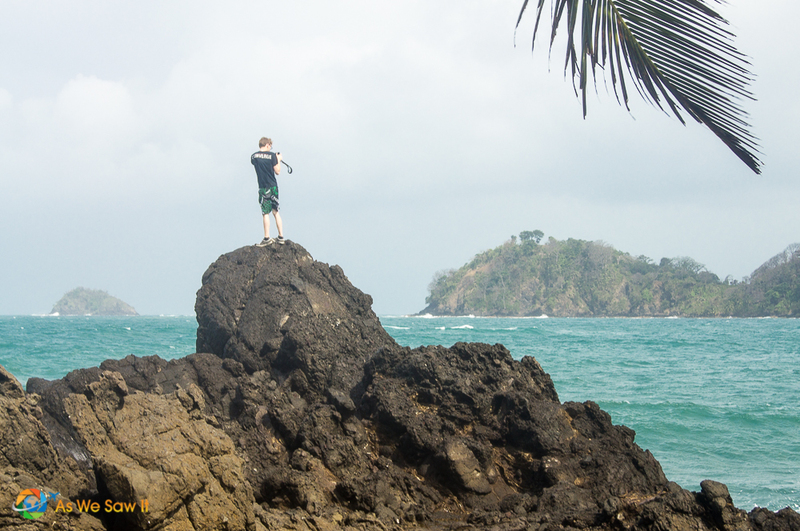 Andrew climbed out onto the rocks for a beautiful view into the sea. Around him the waves crashed onto the shore, lifting spray high into the air. 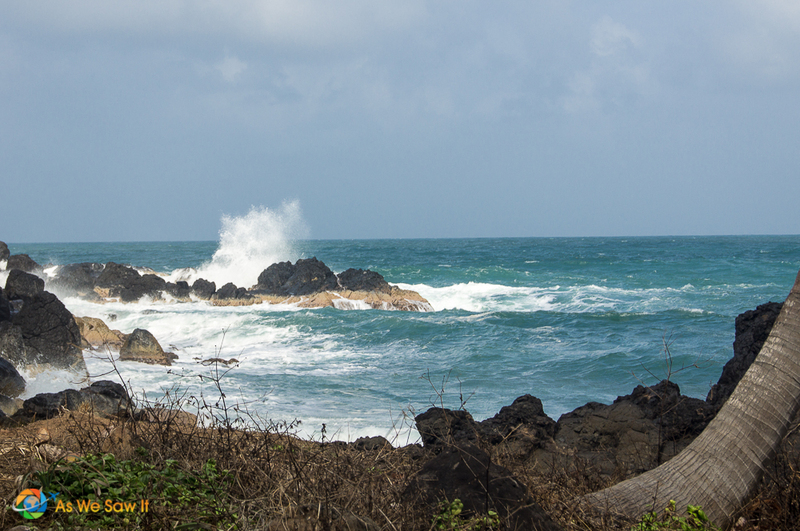 Uncle Andrew enjoyed taking pictures from the rocky eastern tip of the island. Other people think it is a good place to relax. We found a wonderful seaside restaurant and enjoyed some delicious, freshly-caught fish. Wonder restaurant seaside with great fish choices. 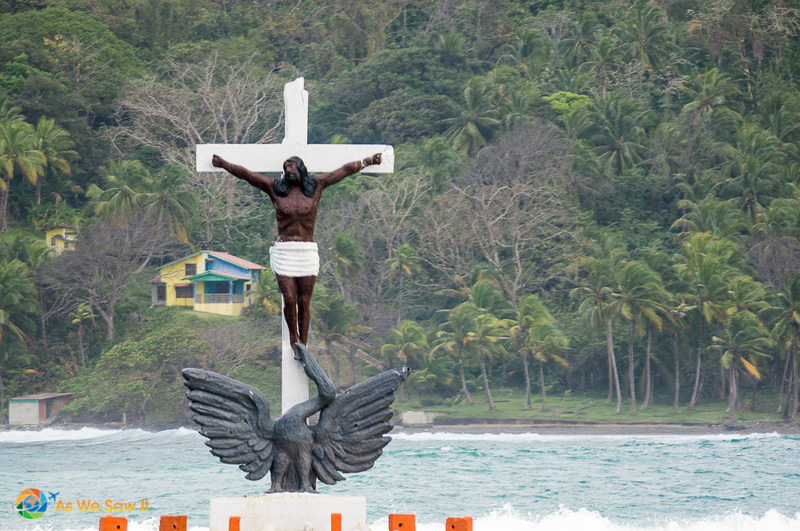 While we ate we watched island visitors take selfies of themselves with the waves and Isla Grande's Catholic cross in the background. Taking advantage of a good selfie spot. The day is getting late so we must jump on a boat back to the mainland for our trip home. 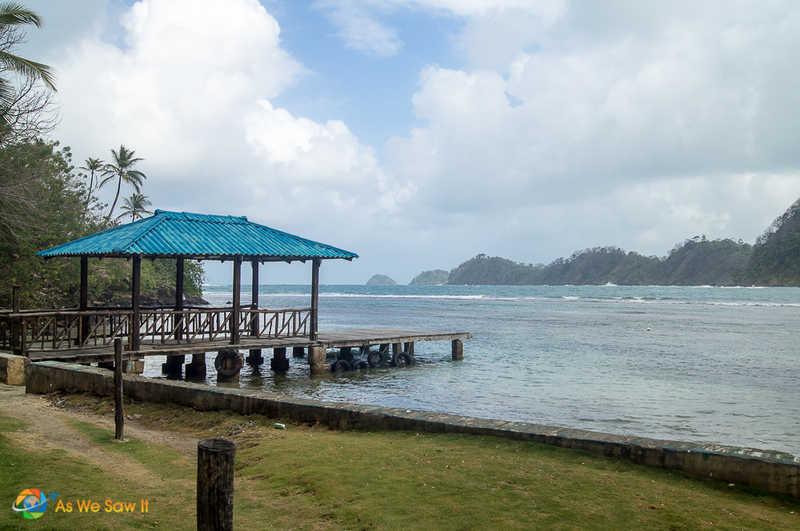 I hope you like my photos of Isla Grande. We think it is beautiful here. 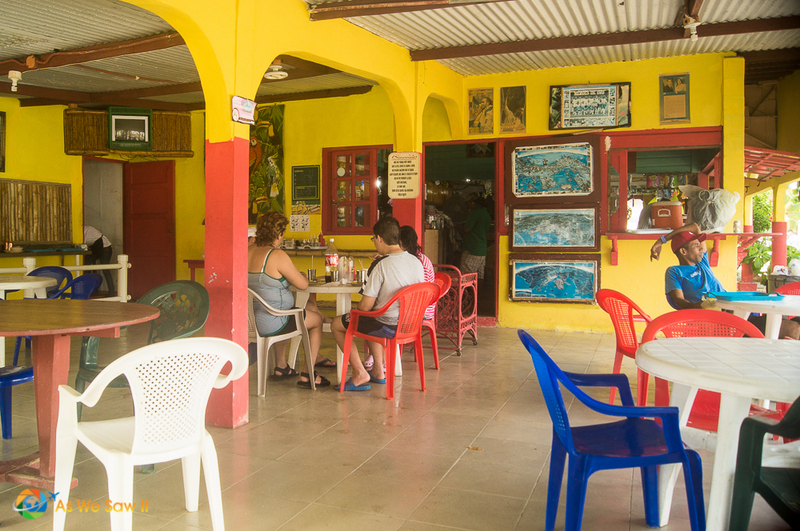 It makes a relaxing day trip out of Panama City that many tourists don’t know about. This is really a local spot. Boy, are they missing out on a good time and wonderful views. P.S. – If you have Pinterest you can click the top left of any photos in our story to add them to your Pinterest boards. We would actually like that a whole lot. What a beautiful island! The water and beaches look so relaxing! I love the selfie spot. Reminds me how we all are so similar. I would love to visit there some day. Thanks for giving us a peek! What great pictures! I love that bayside boathouse, and the cross is so interesting. Making a note of this little paradise! One of the most interesting things to us is how Jesus’ skin color matches the locals’.